Booking a group sale for a Broadway show is easier than you think. Here are 5 reasons you might want to check out Broadway Direct Group Sales for your next night out with family and friends. Are you a teacher planning to take a student group to a Broadway show? Or are you having a family reunion in New York and want to take them to the theatre? Maybe you’re hosting a bachelorette party for a theater-loving friend? Then you might want to book group tickets to the show of your choice. You don’t have to be part of an organization to get discount group rates. The minimum number of tickets for a group varies, but it’s usually between 10 and 20 people. In addition to saving money, there are other benefits to booking with Broadway Direct Group Sales. 1. Access to all the advantages of Broadway Direct. With Broadway Direct, you get insider news, details about upcoming performances, exclusive videos, and an in-depth look at shows. “We’re so happy to be launching Broadway Direct Group Sales. 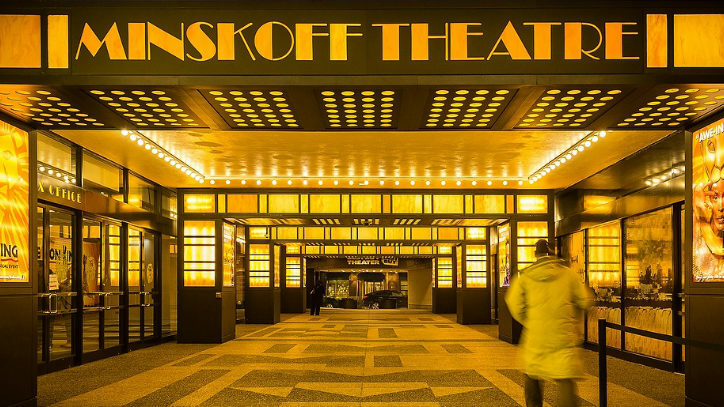 We look forward to connecting directly with theatregoers to help them learn about new shows, book group tickets, and to be a destination for all things Broadway,” says Brian Harasek, Director of Group Sales. 3. The chance to share an unforgettable experience. “A Broadway show is a unique experience. It’s a shared experience, which is what makes it so special for both families and students,” says Nicoll. Harasek will never forget his first Broadway show — Sunset Boulevard starring Glenn Close — with his high school, sparking his love of theater. “With that show coming back, I was thinking to myself, It’s great that we can help introduce students to Broadway,” he says. The experience can go beyond the live show itself. Many theatres offer pre- or postshow receptions. Student groups also have access to study guides and curriculum support. Post-show talk backs can also be arranged for most Broadway shows. 5. It’s super-easy to book. The earlier you book, the better. It’s recommended that you book at least three to four weeks in advance, but if your group isn’t too big and you want to see the show sooner, you might get lucky. Visit groups.broadwaydirect.com or call 800-714-8452 to get started.